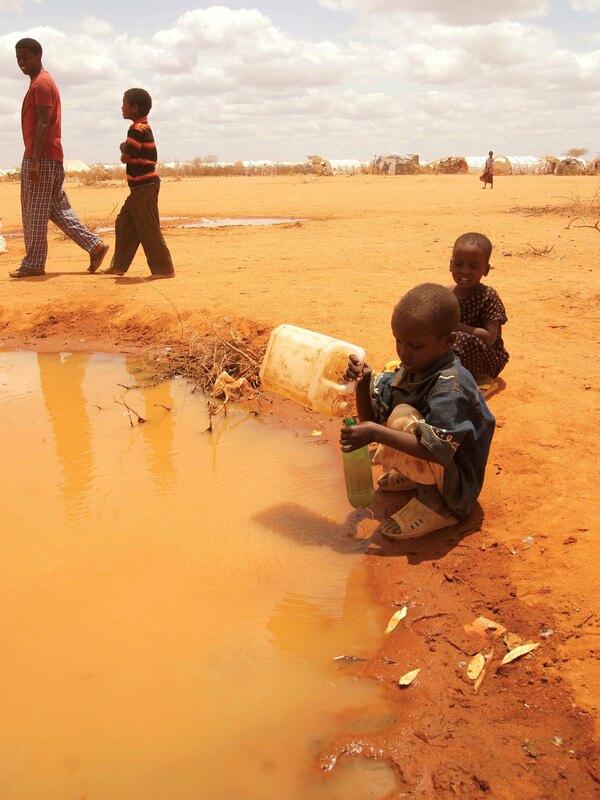 “Water scarcity is among the main problems to be faced by many societies and the World in the XXIst century. By 2025, 1.8 billion people will be living in countries or regions with absolute water scarcity, and two-thirds of the world population could live under water stress conditions. 783 million people, or 11 per cent of the global population, remain without access to an improved source of drinking water, reveals the UN Millennium Development Goals Report 2012. 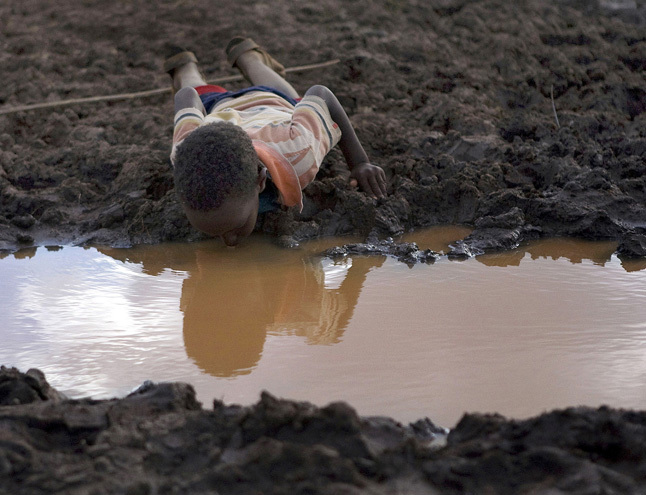 Diarrhea, caused by contaminated water, is the 4th leading cause of child death in the world. An estimated 622,000 children under the age of five die each year from diarrheal diseases globally. Actually, every minute a child dies from a water-related disease, state the UN researchers. While the West is celebrating finding water on Mars; hundreds of millions of people in the Global South are thirsting, striving for clean water and dying here, on Earth. Don’t expect breaking news about this — low ratings. This entry was posted in Oleg Komlik and tagged environment, media. Bookmark the permalink.